Ding. Ding. Ding. Email. Email. Email. For many compliance professionals, communication takes place only one way—via email. It’s estimated that the average employee receives 121 emails per day. While email can be a valuable way to communicate en masse about compliance policies and requirements, it’s not always the best way to communicate. What else can you do? As you make your communication plan, pick out differing ways to reach your employees. Choose the most pertinent topics, then choose the medium that best fits that topic. For instance, let’s say that you need to communicate on two topics by the end of the year: (1) the European General Data Protection Regulation (GDPR) to employees handling European personal data; and (2) the $100 limit on gifts, and the requirement to add any gift given or received to the hospitality log. Although email could be used to communicate about GDPR, it might be more effective to create a whitepaper that affected employees can refer to easily, which will include much more detail than an email, as well as more graphics. Likewise, instead of sending an email about the gift policy, perhaps you can put a notice on the screensavers of all employees. It could say something as simple as, “Remember, if you buy or receive a gift, it has to be under $100, and you need to log it in the hospitality log.” One succinct sentence used as a screensaver can be seen over and over again throughout a day, instead of ignored in a pile of email. With a little planning and creativity, you can make your communications significantly more effective and more fun for your employees. People pay attention to the unexpected, and by mixing up your communication channels, you’ll keep them on their toes and paying attention. 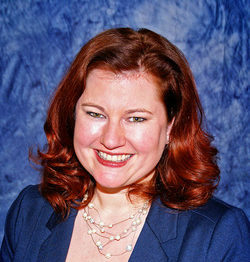 Kristy Grant-Hart is the author of the book How to be a Wildly Effective Compliance Officer. She is CEO of Spark Compliance Consulting. 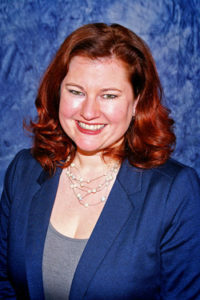 She can be found at www.ComplianceKristy.com, @KristyGrantHart and emailed at KristyGH@SparkCompliance.com. I love these ideas, Kristy, thank you so much for sharing!